War draws near, and you must assemble your forces to best meet your foes on the battlefield! 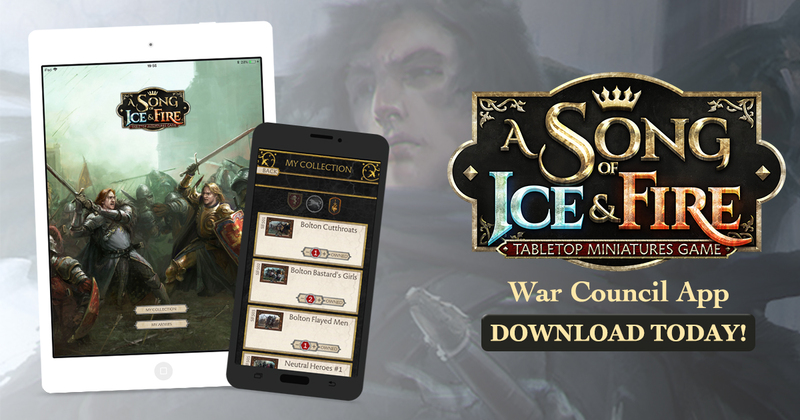 War Council, the official A Song of Ice and Fire: Tabletop Miniatures Game companion app allows you to survey your troops, assess the viability of new strategies, and assemble your armies all on your smartphone or tablet. Build your collections, keep track of the point costs, and share your armies with your friends as you ready yourself for battle! War Council is available now at the App Store and Google Play.